A really, really cool secret? In the Torah there is a strange instruction. Moses didn’t speak to the rock. Moses hit the rock, instead. The Zohar is clear about this: the water that comes from the rock isn’t water. The Torah story wasn’t really about water. Water is just a code word. The story was about the revealing and sharing of wisdom. The raw, naked power of the Zohar. So why did Moses hit the rock? Why did Moses not speak to the rock? The hitting of the rock is a metaphor for physical, materiality. Speaking is a metaphor for consciousness. Moses hit the rock because the people’s consciousness was not yet ready to achieve control over the world. Doubts about the power of their consciousness to alter the physical environment. They weren’t prepared to go all the way. They weren’t prepared to give up the ego. Because in order to unleash the power of consciousness, you have to reel in the ego and dismantle it. Because the ego is the source of doubt. The DNA of doubt. The essence of doubt. During Moses’ time, the people just wanted to take. They wanted to make their own dreams come true instead of making other people’s dreams come true. The key is to make other people’s dreams come true. Then billions of people in the world will be working to make your dreams come true. That’s the formula and wisdom that was gushing forth from the rock. But the ego of the people made them want to take selfishly. If not read it again. Okay—now it’s time to flash forward. Ready for a hard and harsh truth? I mean, are you really sure? 2000 years ago, the Romans outlawed the literal and mystical teachings of the Torah. The wisdom and technology that would strip away selfishness and leave only kindness in the hearts of humanity. One day, a handful of negative Jews ran to the Roman Government and ratted out Rabbi Akiva for teaching Kabbalah to his students. Akiva was then skinned alive by the Romans. His flesh was torn off. Another one ran to the Roman government and squealed on Kabbalist Rabbi Shimon Bar Yochai because he spoke truth out in public. Rabbi Shimon took refuge in a cave for 13 years. Kabbalist Yehuda ben Baba was sliced by 300 arrows by Roman soldiers. Kabbalist Rabbi Ishmael had his face (not his head) sliced off. Some Jews went to the Roman government speaking bad about Kabbalist Rabbi Yehoshua (Jesus). They made up lies about his true Kabbalistic Torah teachings. Jesus tried to hide the truth of what he was doing by only revealing these Kabbalistic secrets to his closest disciples. To the masses, he spoke in parable to conceal the power of what he was revealing to the world. But the Jews called him a criminal. He was hung on Passover eve. Akiva and Rabbi Shimon had tried to bring Kabbalah to the Jews. To turn them into Israelites. Jesus mission was to bring Kabbalah to the pagan and gentile nations. To bring them salvation from the darkness and chaos of the world. But all these great Kabbalistic sages were stopped. Dead in their tracks. Which is why the world continued to burn for the last twenty centuries. Flash forward to the 18th century. Jews ran to the authorities in Germany and Italy. They made false claims about a great Kabbalist. Buried his writings in a graveyard. Drove him from his homeland. Is it the people who ratted out the Kabbalists and slandered them? Is it the fault of the persecutors? It was the people’s fault. They refused to rise up. Because part of speaking up is leaving the ego at the door and speaking from the heart and being willing to take the heat. Now it’s now time for the world to change. This time, the people will speak. This time our voices speak. It’s time bring the secret teachings of Jesus to the entire world. It’s time to bring the technology and wisdom of Rabbi Shimon to the Children of Israel. It’s time to speak to everyone. Rooted in the teachings of Kabbalist Rav Berg. Karen Berg. The core of the Kabbalah Centre. Including the entire sacred lineage of Kabbalists. All the way back to Moses. If you love what you read, and you do not share it, you are taking. Or the mistakes of history will repeat. To share an article, to share a miracle story, to share any truth from this website IS to speak up. To gift someone with the Sacred Zohar is to speak up in the loudest voice possible. A voice that will reverberate around the world. Once a month gift a friend or a stranger with the Zohar. Share the wisdom of this site. Because we still need to fix what we didn’t accomplish in history. The only reason the Messiah and world peace has not yet arrived is because we have not brought this Light to the entire world. Only when a critical mass of people are empowered with the wisdom and book of Zohar and they achieve true, inner, deep fulfillment, only then will the Messiah arrive to forever banish all darkness and death. It’s up to us. It always has been. Jesus gave the gentile nations of the world the path and teachings. It’s all rooted in the Zohar. Every single word. Rabbi Shimon and Rabbi Akiva revealed the wisdom that can forever transform the Jews of the world into a true spiritual kingdom of Israelites. The time has come to speak. We need to speak to the rock and bring forth water; to water and nourish the earth. The rock is planet earth. Third rock from the sun. And the source and bottomless well of this wisdom is the Zohar. 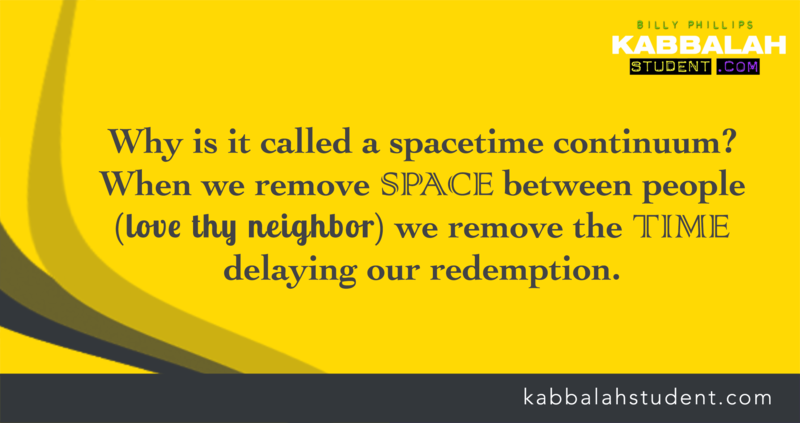 This whole Kabbalah Centre movement is a stream, a river, a sea and an ocean—if enough of us speak. Share the miracle stories that appear on this site. Now go change the world. With the wisdom of Jesus, the wisdom of Akiva, the wisdom of Rabbi Shimon. That divine water and wisdom is called The Zohar. And with it, we can finally finish what they started. It’s now in your hands.